One of our clients recently went on a ski vacation with his family. They had a great few days on the slopes, gliding their way through the fresh powder of the new ski season. They rode the ski gondolas all day and drank hot cocoa by the fire all night. It was magical. But when they returned home, things were suddenly less than magical. Their hot water heater had corroded and leaked, dumping hundreds of gallons of water into their basement. There was significant structural damage, ruined furniture and décor, as well as mold growth from the wet conditions. It was a mess. 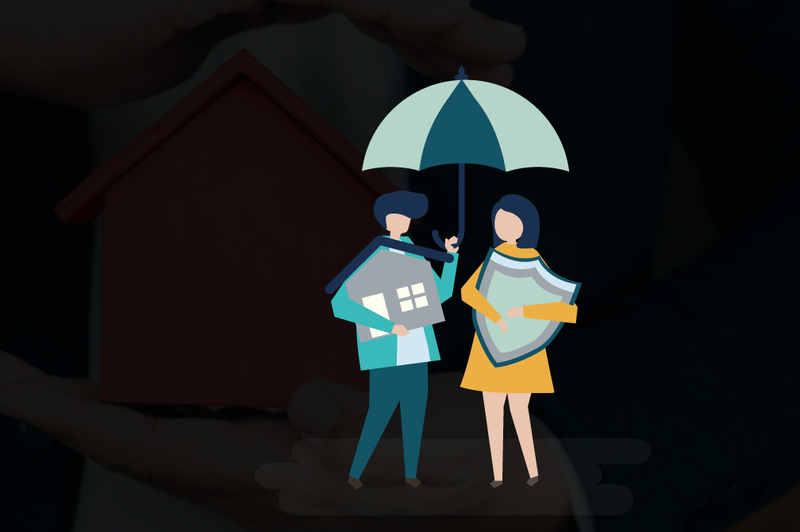 Homeowners insurance is the way we protect our personal property, against risk, damages, and financial loss in the case of an accident or disaster. It covers a property in cases of fire, theft, and other types of damage. 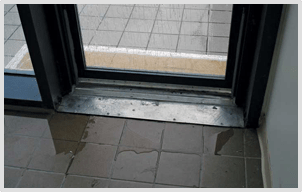 One of the most common types of damage to property occurs because of water. With plumbing, pipes, appliances, and building materials that can fail in a storm, our homes are susceptible to water damage. 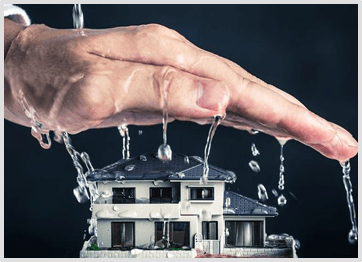 In this article we will talk about how home owner’s insurance covers your property in the case of water damage and how you can make sure you are properly protected. 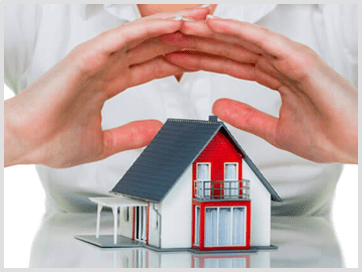 First, homeowners insurance is an insurance policy that provides financial protection that covers losses due to some natural disasters, accidents and theft on your property. 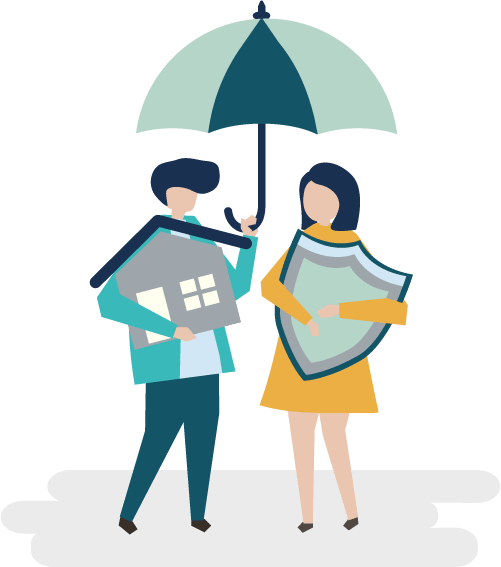 Homeowners insurance not only covers the property and items found on the property, but it also provides coverage for a person or visitor who is injured on your property. In this way, standard homeowners policies generally cover the structure of your home and any personal belongings and additionally provide liability protection. Depending on the details of your particular policy, you can add additional coverage options and increase coverage limits for better protection. A homeowners policy will cover damages caused by fire, windstorm, lightning strikes and hail. It will also cover rain damage and storm damage, and other water damage due to plumbing problems or appliance failure. There are a few natural calamities are not covered under homeowners insurance like the damage that occurs because of an earthquake or flood. This coverage will pay the owner for any damage that occurs to the building or the property itself. When any household items, like furniture, appliances, electronics, and clothing, are stolen or damaged or destroyed, the owner will be reimbursed for the damaged or stolen item. Depending on the type of policy you choose, the claim will either cover the current cash value of the item or the replacement cost of the items. If you are responsible for any property damage or if someone is injured while on your property, then this coverage will protect you and cover their losses. The policy provides coverage for bodily injury and property damage sustained by others, that you or someone in your covered household are responsible for. When someone else is injured on your property, the bills related to medical expenses of that other person is covered by the homeowners insurance policy. This will not cover the medical expenses of your family or pet. Additional living expense covers any costs incurred as a result of living away from home if you cannot live there because of damage from an insured accident or disaster. It covers hotel bills, restaurant meals and other costs, over and above your usual living expenses, that you may accumulate while your home is being rebuilt or restored. The homeowners insurance policy covers the costs and damages that occur because of water damage. 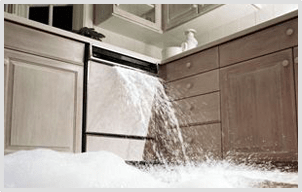 A standard homeowners insurance policy covers water damage like the bursting of a pipe, plumbing leaks, overflow of water from a sink or tub, failure or malfunction of an appliance, leaks or damage to appliance water lines. It also covers storm and rain damage if the damage occurs before the water hits the ground. Rain damage is only damage that occurs when water enters your property from the sky, like when there it weakness or damage to a roof or window and water damage results. It’s important to understand that water damage becomes classified as flood damage if it has hit the ground and then entered your property. 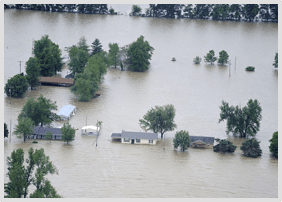 Flood damage is not covered by your standard homeowners insurance policy. For example, if it’s raining cats and dogs and water seeps in through your roof damaging your ceiling and walls, this type of damage would be covered under a standard homeowners policy. However, if it’s still raining cats and dogs and the water begins to pool in your backyard creating a flood and then entering your home under the door, this kind of damage would not be covered under a standard homeowners policy, but could be covered with an additional flood policy or addendum. A good way to think about it is that if your whole neighborhood is affected, like the flooding that occurs after a hurricane, that kind of water damage would not be covered unless you have an additional flood policy. Whereas, if there is a storm and you are the only one affected by water damage, it is probably not because of a flood and it would most likely be covered. As we have noted, not all water damage is covered under a standard homeowners insurance policy. We have explained what water damage is and what flood damage is as defined by most insurance companies. What is most important to remember is that when your home or property is damaged due to flood or unresolved maintenance issues, it will not covered your homeowners policy. It becomes confusing because of the way we traditionally use the word “flood.” For example, if your bathroom or basement is damaged because of overflowing water from a sink or tub, bursting of frozen pipes, or a broken appliance, and water “floods” the room or the floor, this would be covered under your policy. 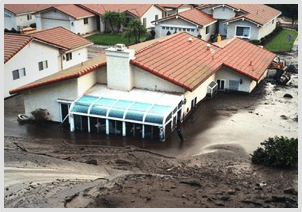 Flood damage as an insurance term refers to water that naturally occurs from weather, hits the ground, and then enters your property, not just the accumulation of a lot of water. To get a little more clarification, let’s examine some difference scenarios where homeowners insurance provides or does not provide coverage. First, we’ll cover various scenarios that would be covered under a standard homeowners insurance policy. 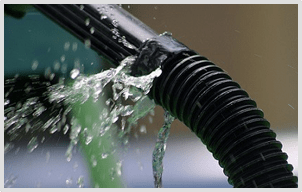 If there is damage that results from rain falling and overflowing the swimming pool, or if a storm caused a tree to fall on the swimming pool pump causing it to malfunction, this would be covered under a homeowners policy, as well as any consequential damage to the house or property. 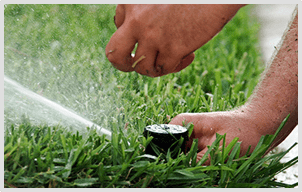 Depending on your purchased policy, any additional damage that occurs to lawn, shrubs, trees, and landscaping can also be covered. Like my friend whose hot water heater died while they were on the slopes, the materials, property, and furnishings damaged due to overflow from broken appliances are covered. 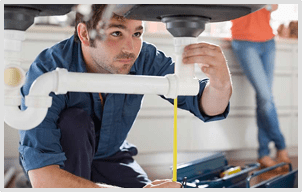 Water damage occurring from leaks from toilets, sinks, or tubs are also covered. When a refrigerator, hot water heater, washing machine or other appliance water line breaks, the resulting water damage is covered under a homeowners policy. 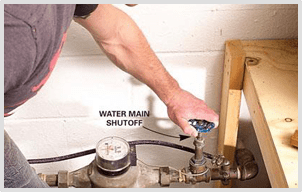 Additionally, in-home fire sprinkler lines and heating or air conditioning lines are usually also covered as long as proper maintenance has occurred. This is rarely a problem in the Phoenix valley, but water damage that occurs because of bursting pipes is also covered. During the winter, due to freezing temperature, the water inside the pipes can freeze and expand, bursting the pipes. If the pipes burst because the heat has been turned off or the home is unoccupied it may not be covered. As already mentioned, when there is a bad storm, there are chances of the roof getting damaged either by wind or falling trees. If water enters the home because of this damage, that water damage is covered under your policy. If there are roof maintenance issues before the heavy storm, then the water damage will not be covered. 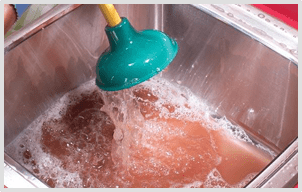 If you have a large water spill from a bucket or cooler or maybe a large fish tank that damages the building materials or flooring, this would usually be covered by your home owner’s policy. Overflow of a lake or river is considered as a flood, and so any resulting damage to your property would not be covered. Additionally, any damage from a flash flood or overflow of a storm wash is also not covered for the same reason. The flood damages are reimbursed only if you have a specific and separate flood insurance policy. Whenever there is water damage that results from improper maintenance or neglect by the homeowner, the policy will not provide coverage. From roof maintenance to window seals, the property must be in good repair to be fully covered. 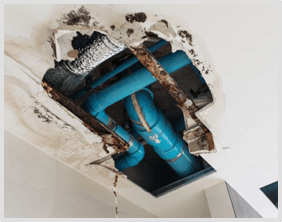 Likewise, a tiny, pinhole leak in a pipe, a leaking toilet, a dripping faucet, or an incorrectly sealed bath or shower will often not be covered under your policy, because it is considered negligence on your part as the homeowner. If sewer drains or sump pumps get clogged and backed up, the water and sewage that enters the home will not be covered. Again, this is considered a maintenance issue. When the drains are clogged and cannot empty properly, the resulting damage to your property is not covered under your policy. Carefully maintain your sewer drains and sump pumps to avoid possible water damage. While your homeowners policy does protect you against many kinds of accidental water damage, it does not extend to maintenance issues. There are many things you can regularly check and maintain in order to protect yourself from many kinds of water damage. Make sure that your bathroom sinks, shower, and tubs are draining properly and there are no small leaks from faucets or pipes. Hoses wear out and deteriorate. Occasionally inspect the hoses and on appliances like your dishwasher, water heater, and washer and have any small leaks immediately repaired or have hoses replaced. 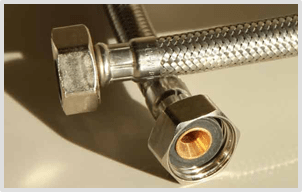 Check whether the hoses of each appliance are connected properly. Moreover, you can also use leak sensors which are inexpensive and available at most hardware stores. When you plan for any long or extended vacation, it is advisable to shut off the water supply to the house. 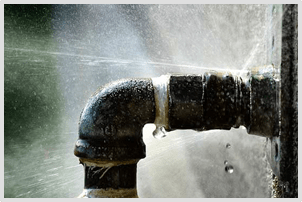 By shutting off the water supply, you can protect yourself from a major leak when you are not home. Much of the damage occurs in these situations because the water sits for days while the home is unoccupied. Most of the time, water damage occurs as water enters the home through the roof or windows or doors. So, it is advisable to check whether the roof regularly for missing or loose shingles and to check for damage of any kind. Make sure that the roof, windows, and doors of your premises are fully sealed and caulked to prevent moisture and water from entering.If you find any leaks or spaces, then make the necessary repairs to prevent possible future water damage. 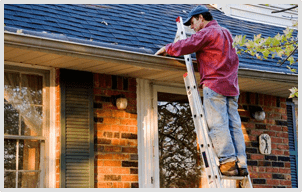 When you are checking the roof shingles, make sure that you clean and check the gutters of the roof as well. Blockages from debris or foliage can prevent water from draining properly and cause water to pool on your roof and cause damage. While checking gutters, make sure that the downspouts are properly positioned and functioning to move water away from the roof and foundation of your property. Make sure that the sprinkler systems are water tight andfree from leaks and damage. 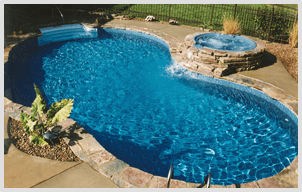 Watch for pooling water or malfunctioning sprinkler heads and replace them quickly. If there is any leakage in your sprinkler system, then groundwater accumulates and can damage the foundation of your residence. Additionally, this leaves the ground already saturated in the case of a heavy rain, making flooding more likely. Anytime you notice water damage to your property, the first thing that you should do is notify your insurance company about the damage. The sooner you contact your agent or the insurance company, the quicker and more efficiently the claim can be settled and the repair process initiated. Water damage gets worse with time. It will be easier to repair and less costly if you take care of it right away. You must have your policy number ready and also be prepared to answer any additional question while calling your insurance company. Inspect and take a carefully look at your damaged property, so that you don’t forget to mention any important aspect while starting your claim. Once you have informed your insurance company about the damage, prevent further water damage by turning off the water supply, boarding up or tarping off any exposure to the outside elements, and begin removing the excess water. Then carefully document the damage by taking pictures and video and keeping a record of damaged items and furnishings. It’s important to keep notes, emails, records of conversations that you have with your insurance company and with the restoration company that is helping repair the damage. Keeping detailed notes will make it easier to remember the items discussed, actions pending, and commitments that have been made. 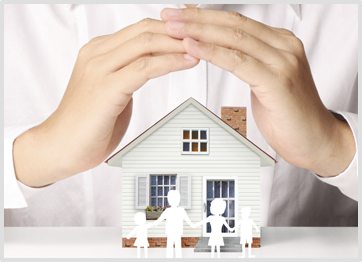 Homeowners insurance provides valuable protection for your dwelling and your personal property. It also gives you important coverage against liability. The purpose of this article was to provide guidance and additional understanding of how homeowners insurance can protect you when it comes to water damage, what to do in case of a claim, and how you can help protect your property from water damage through simple maintenance. If you have any questions, it’s a good idea to talk with your insurance agent regarding specific scenarios that you may face as a homeowner to ensure you have the right coverage for any water damage that might occur. Make sure that you ask about any additional coverage or endorsements that are available for your property. At Insurance Professionals of Arizona, we are here to answer your questions and make sure you have the right coverage for any situation you and your property may face. Call us today. The purpose of this article is to provide guidance regarding types of homeowners insurance that covers water damage, how you can prevent your home from water damage, and tips to keep in mind while claiming the water damage insurance. It is a good idea to talk with your insurance agent regarding scenarios that are covered under the water damage policy. Make sure that you ask about any additional coverage that is available for your residence in the policy. And before purchasing the policy it is advisable to check the policy’s terms and conditions so that you can have a clear idea about the scenarios that are covered under the policy. Thanks for explaining the different types of coverage and that you explain how homeowners insurance policies usually cover the structure, personal belongings, and any additional provided liability protection. Knowing what’s available would be important to determine which one best fits the protection you want. It would also be useful to help you research the various homeowners insurance companies and policies to figure out which one offers the coverage you want and will be reliable.